Over time, Saint-Gaudens’ presence attracted other artists to the area, creating what became known as the Cornish Colony. Isadora Duncan, Maxfield Parrish, and others moved in, their properties soon connected by trails that can still be walked to this day. 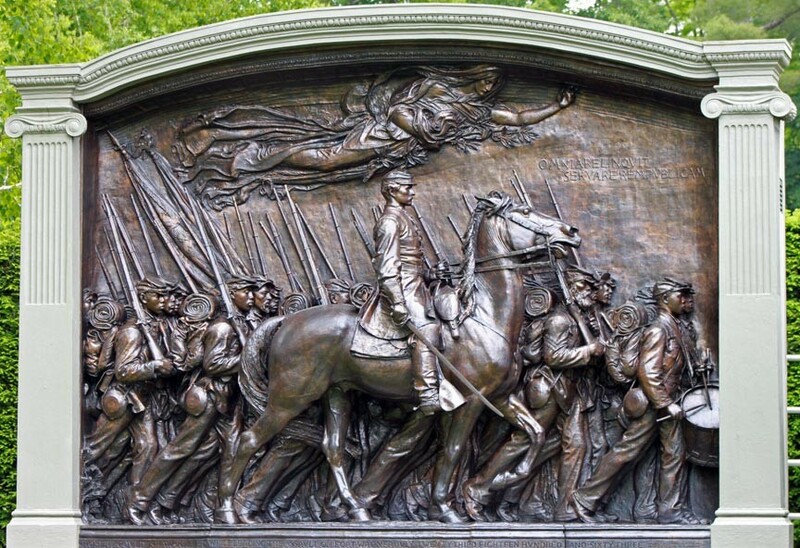 More importantly, Saint-Gaudens National Historic Site exhibits over 100 of the sculptor’s works. While most of his original pieces are located around the globe, Saint-Gaudens’ cast full-size reproductions for his estate. The collection also showcases original Saint-Gaudens pieces found nowhere else. Saint-Gaudens National Historic Site grounds feel like an outdoor gallery. A series of strategic hedges create separate spaces to display one or more of the artist’s famous sculptures. Saint-Gaudens National Historic Site is more than just sculpture. Visitors will enjoy the manicured gardens, Roman-style atrium, pools, walkways, and fountains. You can also tour the sculptor’s home and studio. A visitor’s center offers maps, historical information, and a gift shop. The site offers a variety of guided tours, no reservations needed. The site also regularly hosts summer concerts, sculpture classes, and other special events. Open the Saturday of Memorial Day weekend to October 31st. Park buildings are open daily, from 9am to 4:30pm, the grounds until dusk. At Deer Brook Inn, you’ll enjoy spacious, casual accommodations. Our stylish, 1820’s farmhouse inn offers four guest rooms and suites with en suite bathrooms and delicious, daily breakfasts! Book your stay at Deer Brook Inn today!